My Life in a Rucksack: My life in an actual rucksack. My life in an actual rucksack. I know, i know, it's been a while. Almost four months to the day actually. Thankfully the reasons for being unable to disclose my whereabouts and whatnot are now gone (not as dramatic as it sounds) and seeing as I spent most of the British summer back home updating my 'travel' blog seemed a bit daft. For those of you unaware, I had the pleasure of working at this years Edinburgh Festival. It was marvellous, I learnt a lot and drank even more, hopefully managing to make a few contacts (and friends!) here and there. Now, however, I'm back Down Under and have just started what I think is probably Chapter Eight of my adventure. Chapter 1: Cheskie gets to Townsville and has no idea what to do. Chapter 2: Mission Beach, by accident. Chapter 3: Sydney (although mostly Rouse Hill). Chapter 4: Nearly bankrupted by Melbourne. Chapter 5: Mary Poppins visits the farm. Chapter 5: Cheskie gets to Townsville and has no idea what to do (reprise). Chapter 6: Mission Beach, by accident, again. Chapter 7: Homeward Bound for a bit. And what, I hear you ask, should we call chapter 8? Well, I expect it'll be the chapter where I learn how to be a proper backpacker. You see the title of this blog is rather misleading. 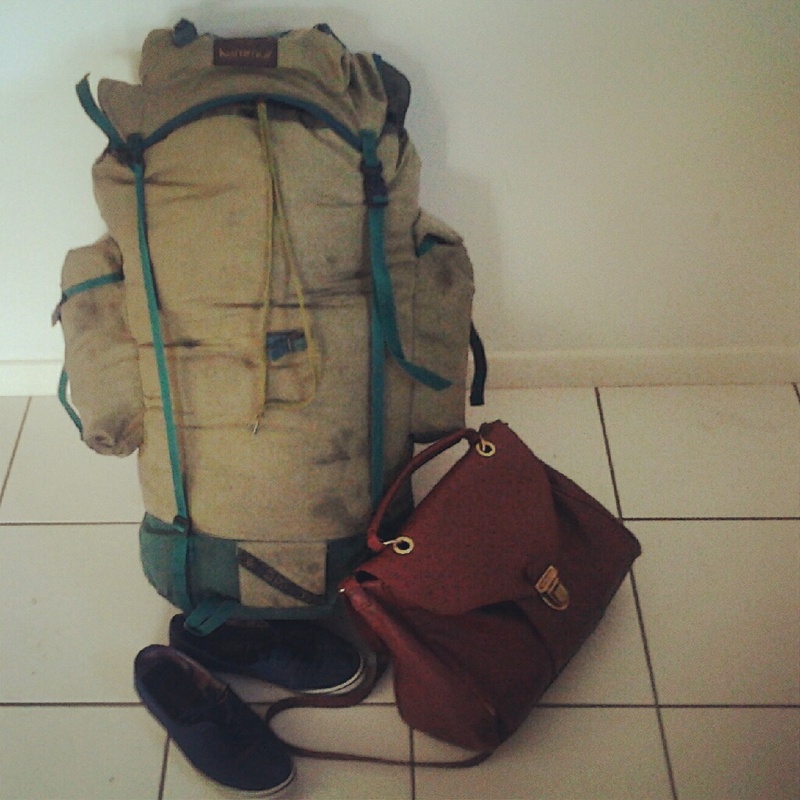 My life hasn't been in a rucksack at all, not even close. I flew over with two bags and had half a box of stuff arrive a few months later. In all honestly my life probably wouldn't have fitted into three rucksacks. I've had the luxury of a home to go back to, a base from which I can travel out. I've had an absolutely fixed abode with no semblance of nomadity; that's all about to change. In a month my Mum is relocating back to the UK. 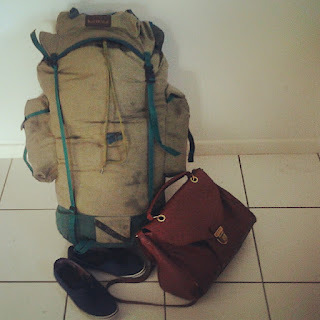 That means I absolutely have to be a proper backpacker. And I've done it - it may have taken blood, sweat and tears but somehow I made it happen. My life really does fit into a rucksack now. Hello Cairns, I didn't expect to see you here.